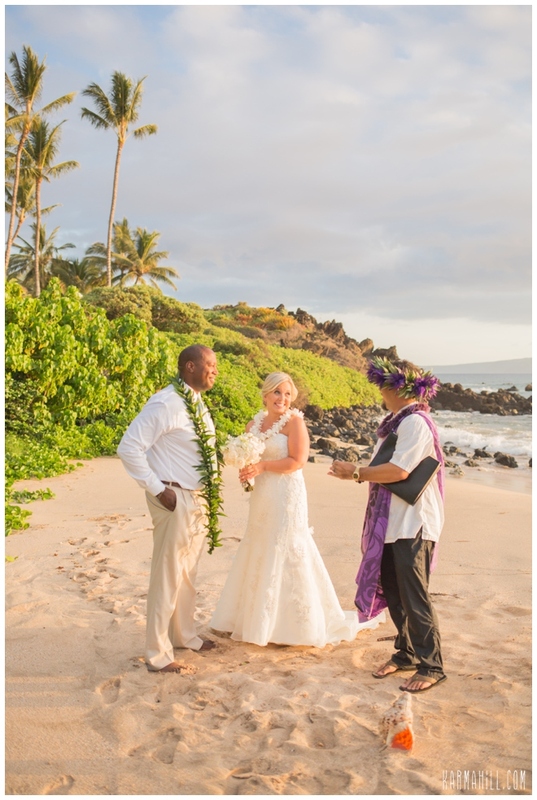 Barb & Lawrence were married last week on the beautiful shores of Southside Beach by Reverend Kimo Kirkman. 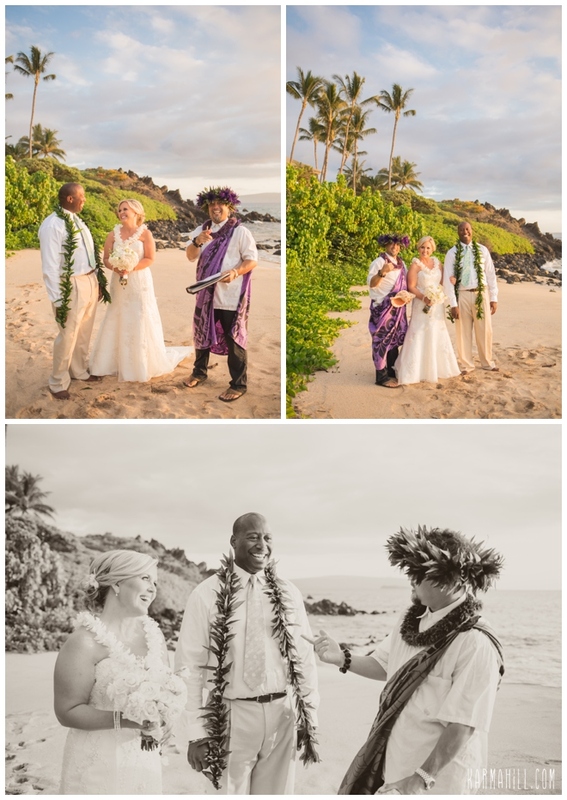 It was such a sweet ceremony as the couple added in a few words of their own to say to each other. 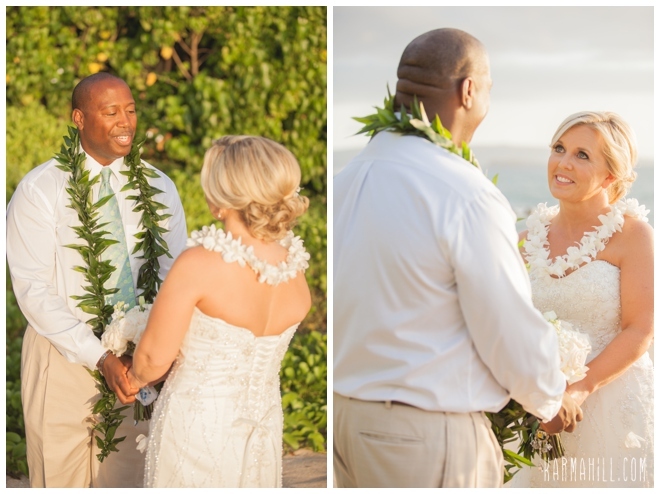 After their ceremony they shared a few moments with each other as the new husband and wife. 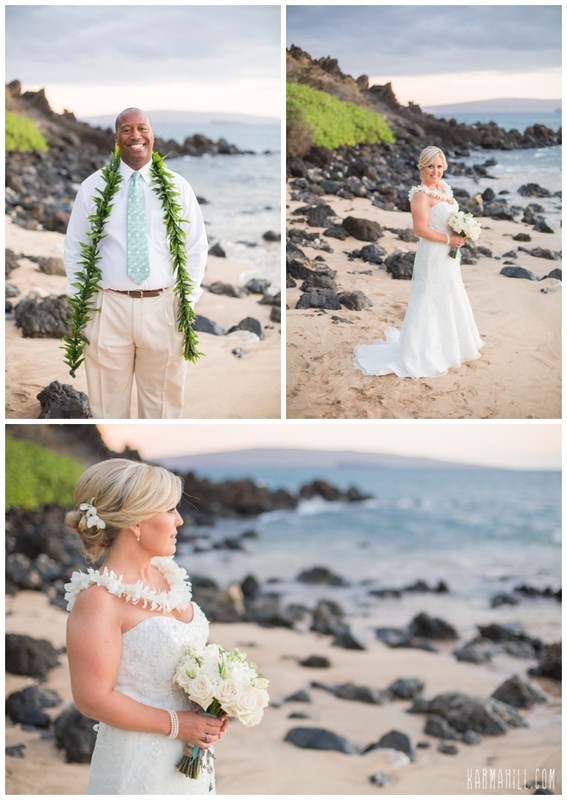 They walked along the beach and sat and enjoy one another as Karma Hill captured the special moments. 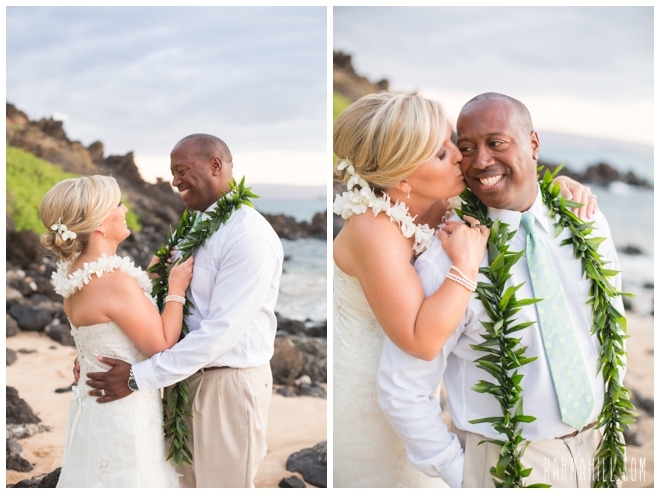 Afterwards they headed to Nick's Fishmarket for a romantic dinner for two! 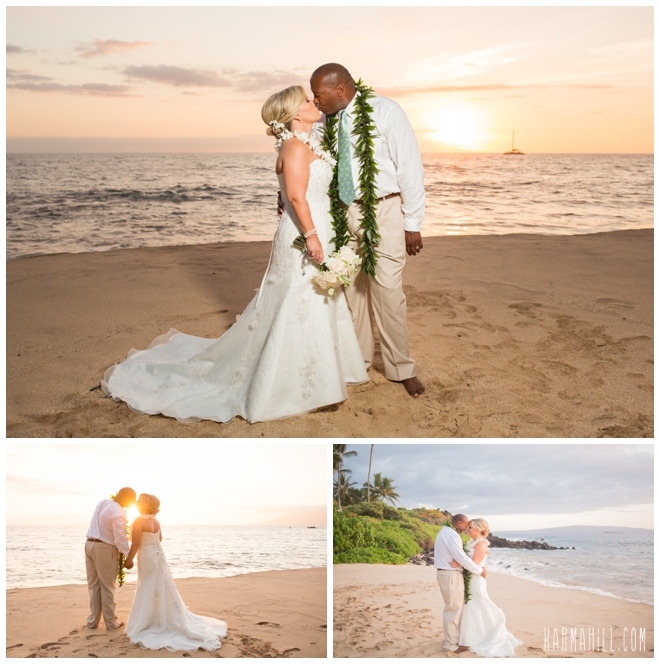 It was a great evening to be married on Maui and we were honored to be a part of it. 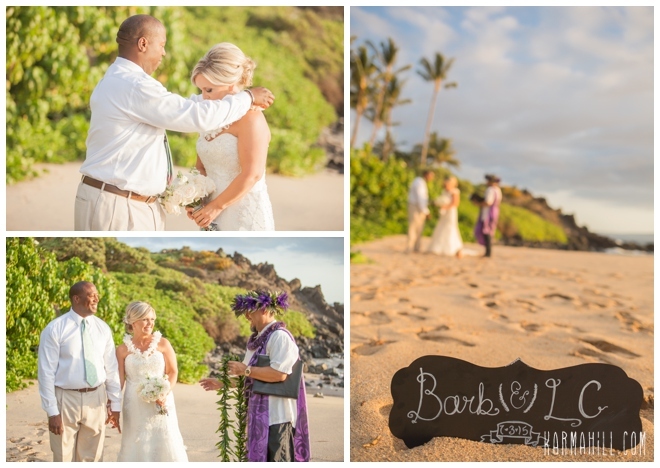 Thank you Barb & Lawrence for choosing Simple Maui Wedding to be a part of your Maui beach wedding! 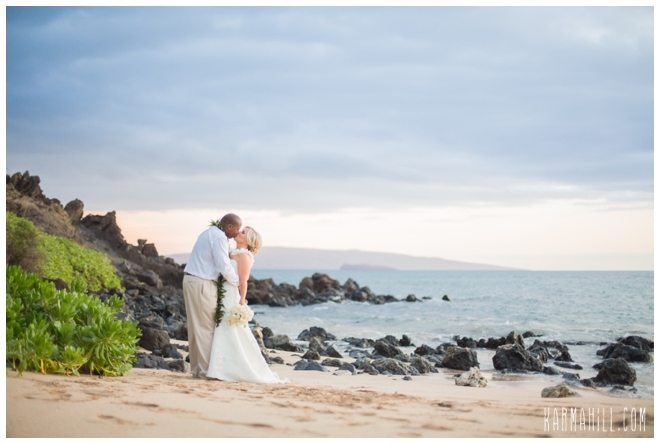 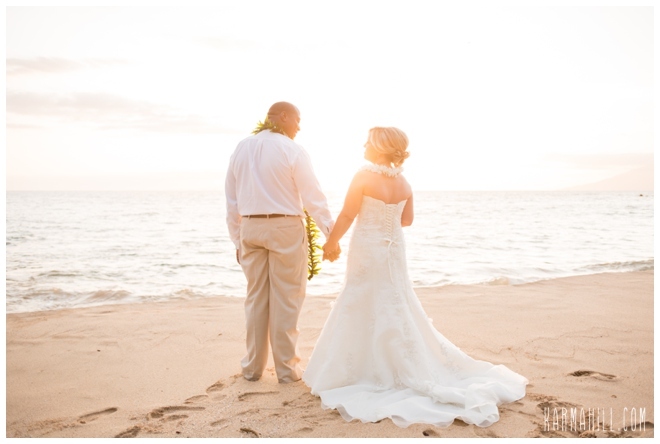 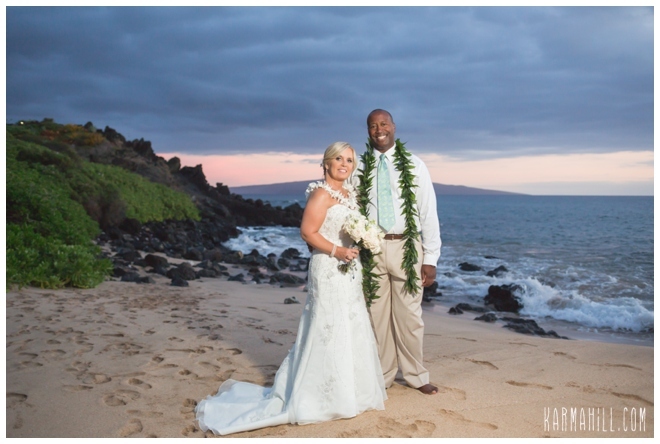 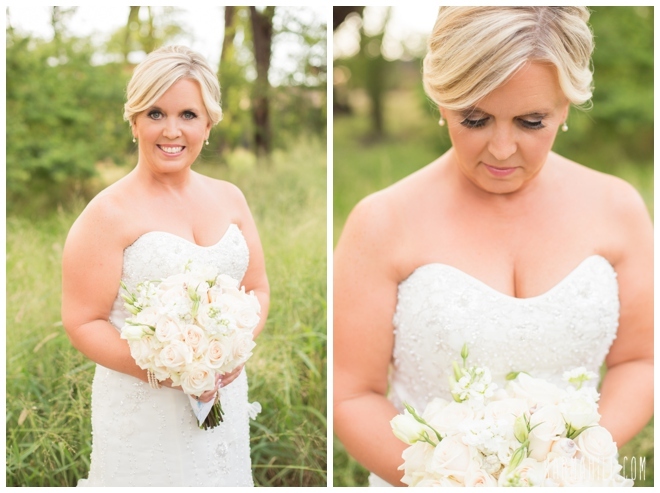 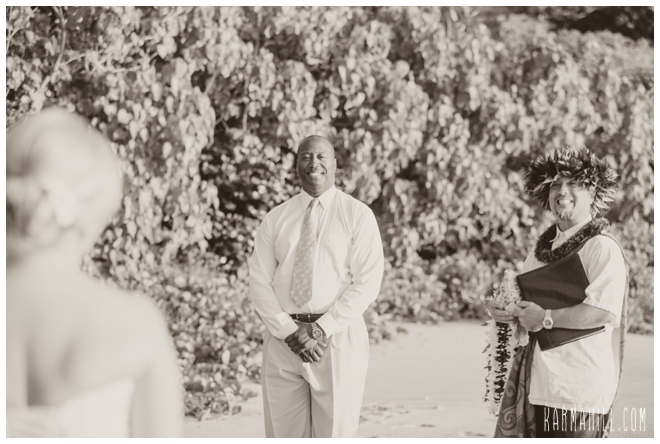 Check out our last Maui beach wedding with Tina & John!